I am a freshman in the Dental Hygiene Program at St. Petersburg College. I want to say how grateful I am for being selected for this scholarship. It certainly helped to relieve the financial burden of being a full-time student. 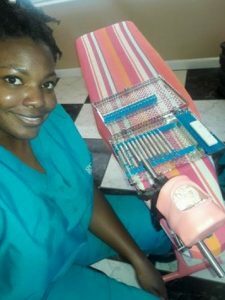 I was a dental assistant for six years, and I finally decided it was time to dive back into school. Dental has been in my heart, so dental hygiene just made sense. After I finish school I would like to go back to public health. I’ve worked in public health and the Free Clinic’s dental program previously. I loved how appreciative those recipients were for basic dental services. I would like to experience that again. Once again, thank you so much for this opportunity.